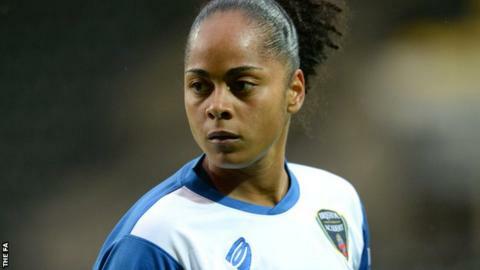 Reading women have added to their squad ahead of the WSL 1 season with the signing of forward Jade Boho-Sayo. The 29-year-old joins from Bristol City Women, for whom she scored eight goals in nine WSL 1 appearances last season. The Equatorial Guinea international has also played in the Women's Champions League for Real Vallecano. "It's a good signing for us," said coach Kelly Chambers. "I believe Jade will fit in well here with the squad we have built for the 2016 season."